You can trust our independently owned janitorial team to leave your commercial space looking as good as new. Safe Solutions & Healthy Cleaning. With our green cleaning services, your commercial space will shine without compromising the wellbeing of the environment. We eliminate dust, dirt and bacteria from places like ceilings, fans and high windows that don't receive the attention they need. We Help You Care For Your Facility, Day & Night. Make your facility it's best by trusting our commercial cleaning team, no matter what time of day. Atlantic Building Solutions provides quality commercial cleaning and janitorial services to all industries in Raleigh, Durham, Greensboro, High Point, Winston Salem, Charlotte and beyond. As established NC commercial cleaners, we have the equipment and capabilities to serve even the most expansive facility. Because we’re a small business and not a franchise group, we are able to adequately care for our clients and our community–giving 100% to each and every commercial cleaning job we complete. Our janitorial service plans are custom-designed to best fit your facility. 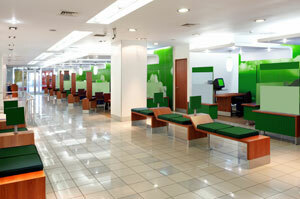 We put our clients first, providing commercial cleaning that is both convenient and reliable. We offer nightly janitorial services for all industries and service facilities across the Carolinas and Virginia. In addition, we offer day porter services to help you maintain the cleanliness of your facility during operating hours. At Atlantic Building Solutions, no job is too large or too small! Contact us today for a free, no hassle estimate of our North Carolina, Virginia or South Carolina janitorial services. We guarantee on-site professional management for each of our commercial cleaning accounts. Our unique business model is based on single-source responsibility and quality assurance programs that allow us to provide our clients with the highest possible level of service. Contact us at 1-877-870-6441 to find out more about our commercial cleaning service plans. Call now! Atlantic Building Solutions offers professional cleaning services to commercial properties in Raleigh, Greensboro, Winston-Salem, Durham, Charlotte and across the southeastern US.